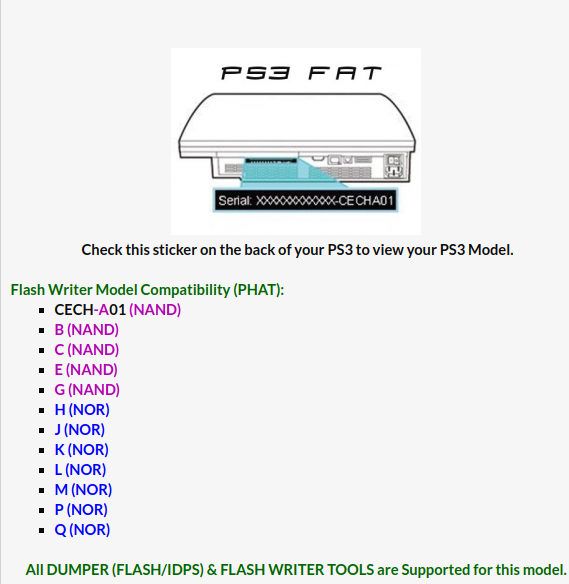 Discussion in 'PS3 Jailbreaks / CFW' started by Joonie, Mar 21, 2019.
ex) OFW 4.83, 4.84 , CECH-3XXX, CECH-4XXX and etc..
We wanted this to be called "HHHFW" since it was Hybrid, Hack-able, HAN ready also inspired by @habib but let's call it HFW since this is Hybrid FW (Well you can call this MFW). Habib had this idea long time ago but the previous attempt was not successful due to lack of interest and preparation. As you all know, I recently started messing with my PS3 again and this idea was brought back. dexter16, Mohamed.Rollins, HumbertoC and 76 others like this. Will be it showed in someplace like "System Information"? keep downloading the HFW but dont think its right (HFW_4.84.2_PS3UPDAT_03_22_2019.7z) i rename it PS3UPDAT.PUP but ps3 doesnt seem to read it can anyone help? Hmm some informations are missing. Where did you put this "PS3UPDAT.PUP"? Does your USB has been recognized by PS3? What error code you're getting when you want to install CFW? Currently you're on OFW, HFW? Hi... i try now since 2 days to install the hfw software on my Phat 4.84OFW. I got some weird issue with my ps3. The usb Stick gets detected and i am able to install the cfw but in when i check the installed version it still shows only "Version 4.84" not 4.84 HFW....."
Do you mean in System Information? It won't say anything other than the firmware version in there (4.84) so it's perfectly normal. I don't see the issue. If you've already installed HFW once via the XMB, make sure to do it a second time via the recovery menu. thanks for quick answer yes it shows that i got the version 4.84 in System information. But how can i find out if it is installed now ? I'm just curious, what gave you the impression that HFW would show up in the system information? Use a PS3Xploit tool from the browser, if it works, you have HFW installed. Not sure where you saw it lol but no it will never say CFW or HFW in System Information, only the firmware version (and not e.g. 4.84.2 but just the main firmware version). Use the following guide to jailbreak your PS3 and you'll soon know if HFW has been properly installed. I'd recommend installing HFW a second time though from recovery mode, to remove the risk of a bad flash dump. can i go to the new exploit? Just update to HFW 4.84 and reinstall HAN with the 4.84 supports files and the 3.0.1 installer. yer the ps3 reconized the usb and its set out just like that it just doesnt seem to work? because "it doesn't seems to work" is kind of a f*** up. What CFW you want to install? What version of CFW you want to install? For start you wont be able to install FW below 4.84, e.g. Rebug Lite 4.82.2. You'll have to install e.g. Rebug Lite 4.84.1. Dumb question, but that quote made me doubt the firmware a little, after installing the hybrid firmware (which I did), do I still need to flash the console if I flashed the console before (OFW 4.82) or I can just install something like REBUG REX without flashing now (HFW 4.84.2)? If your console was already on CFW then you should not have installed HFW at all. As you have now overwritten the patches applied, you will need to start from scratch like it was never exploited. Once on CFW you never need to install OFW or use any xploits ever again. You can just update one CFW to another from the XMB. Sumikachan and Coldheart2236 like this.